Easy Italian, exquisite taste. Enjoy Italian cuisine with smart, contemporary style in historic downtown Columbus. The atmosphere of fine dining at an affordable price. Whether you lounge on a plush chair, sit at the inviting community table, or pull up a stool to the bar, you and your guests can enjoy our unique bar and lounge atmosphere. Accompany any of our appetizers with one of our house-infused vodkas. 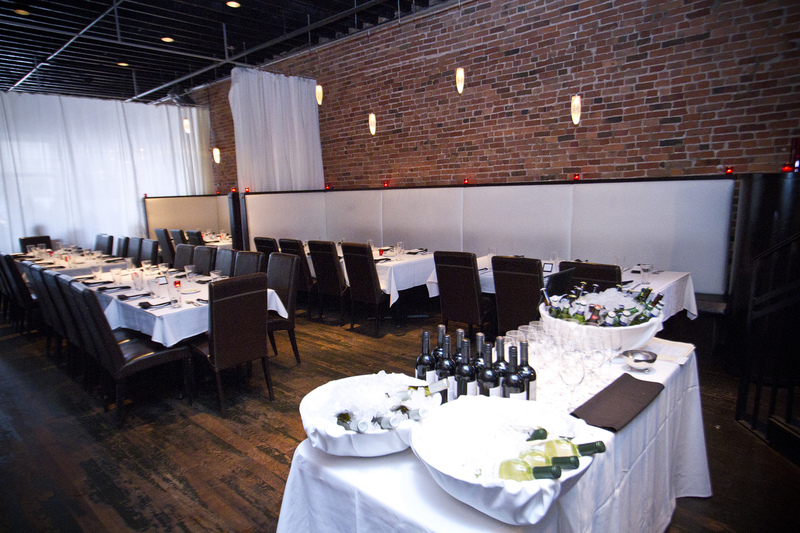 Privato, our simple but modern private room, is easily transformed into any type of private event. It is a sleek and completely secluded space. Our uncomplicated decor and urban atmosphere will invite you in, whether you are having a business gathering or a meeting with old friends. Hardwood floors, exposed brick and low-lighting all accent our distinctive and unique restaurant. Description Enjoy Italian cuisine with smart, contemporary style in downtown Columbus. 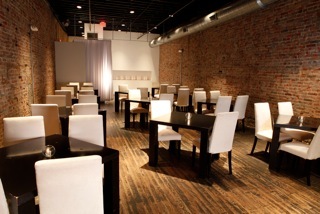 Privato, our simple but modern private room is easily transformed into any type of private event. It is a sleek and completely secluded space. We can accommodate up to 60 people for a seated function and up to 80 people for a cocktail event. We also offer semi-private options and whole restaurant buy outs. Customizable menus and a range of appetizer platters are offered. A separate audio-visual system for the room, complete with a DJ board, DVD player and projector is available. Our uncomplicated décor and urban atmosphere will invite you in, whether you are having a business gathering or meeting up with old friends. Hardwood floors, exposed brick and low-lighting all accent our distinctive and unique restaurant.